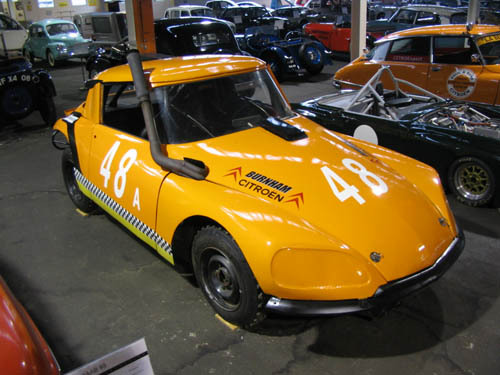 This car was purpose built by Dave Burnham who began his career in the world of Citroën by accepting a job as a mechanic in John Carmichael’s Citroën dealership and repair shop in New York. 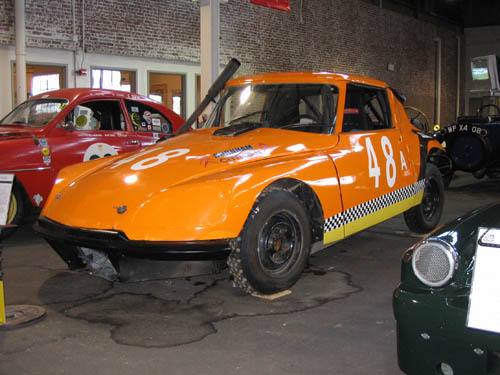 He purchased his first Citroën for $1.00–a 1966 DS21 with a badly rusted rear. He then purchased a second DS21, with a corroded front end. 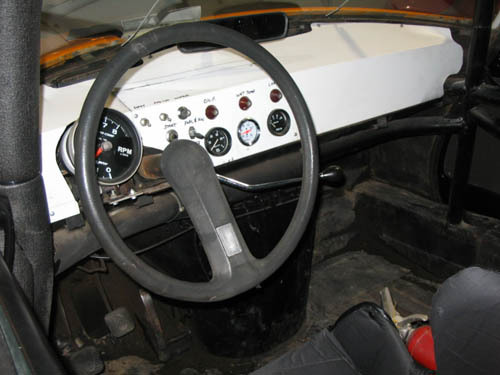 Before long, Burnham created the car you see before you. He added his own bit of design by leaving out the back seat portion of the car. This new hybrid car provided transportation for a year. 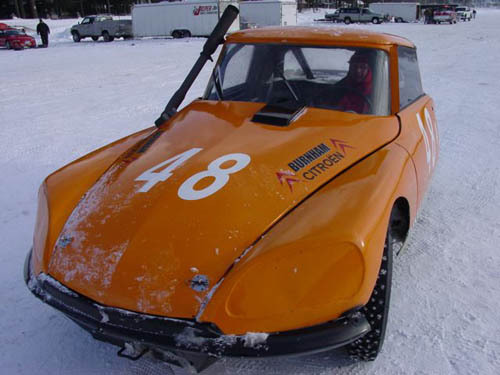 Then, an interest in ice racing found the DS a competitor along with the other modified cars on the ice. 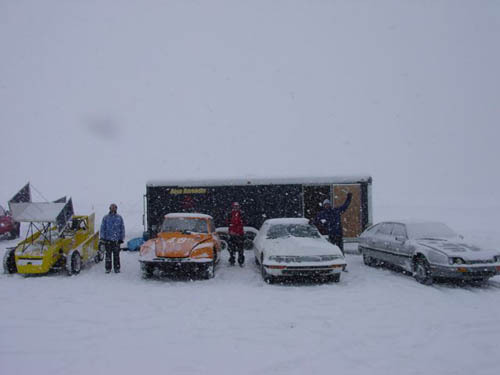 In the winter of 1982, the car began its career as an official ice racer. 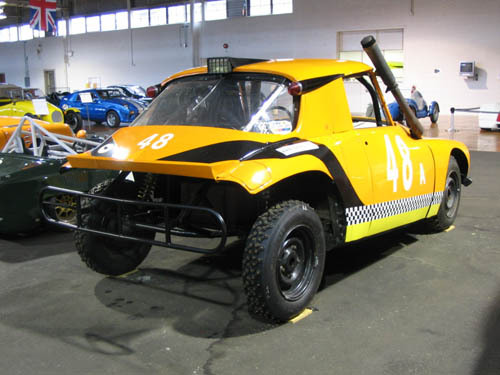 “Pumpkin” has seen a long run of race wins including class and modified championships-- its latest was Feb. 2006 when Jeff Lane won 1st place in the screw tire class.